HBWHOF: CALI AGREES WITH LATOS...TURN BACK THE CLOCK ON THE RAYS??? 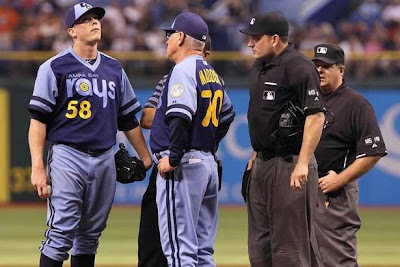 CALI AGREES WITH LATOS...TURN BACK THE CLOCK ON THE RAYS??? Mat Latos was awesome on Saturday. 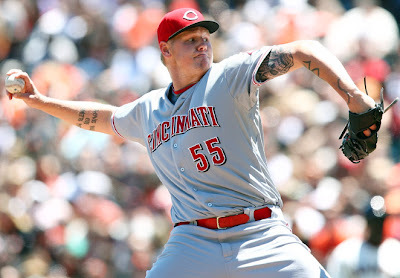 Latos pitched his second complete game victory in a 2-1 Reds defeat of the Giants. The Cincinnati ace threw 115 pitches - 82 for strikes, allowed 2 hits, 1 run, no walks and fired 7Ks. The San Francisco fans reserve a special disdain for Latos, harkening back to his days as a hurler for the San Diego Padres. Latos career ERA at the Giants' AT&T Park is 1.67. 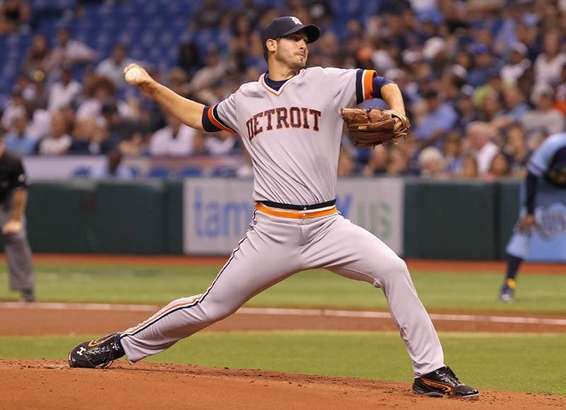 Rick Porcello pitched, probably, his best game thus far in his young career. 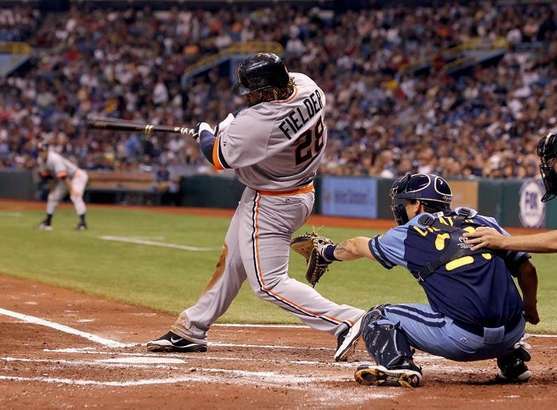 in a 6-2 Tigers' victory over the Rays. Austin Jackson hit a 3-run homer and Miguel Cabrera went 3-for-3. It was 'Turn Back the Clock Night' at The Trop, so both teams rocked 1979 uniforms - even though the Rays came into existence in 1998?? ?